Hello, everyone! Today I'm going to chat to you about something I've been holding off for a while now. 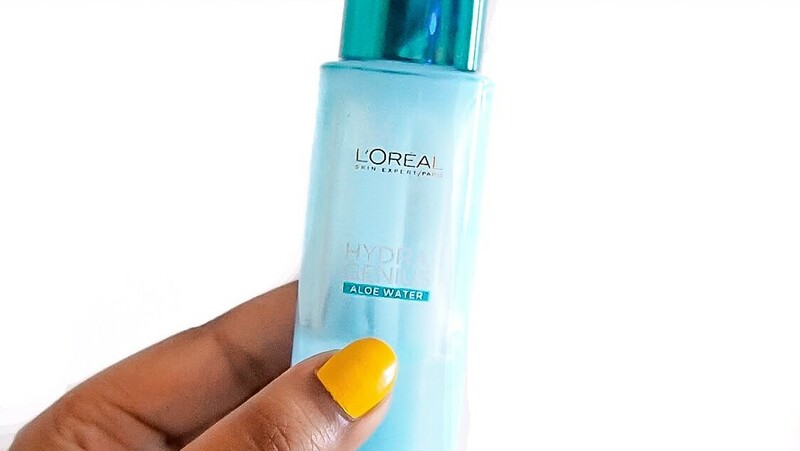 You may have already seen the new L'Oreal Hydra Genius Aloe Water moisturiser all over Instagram and Twitter, but I'm going to give you an in-depth explanation of how it works and why it works. Now, like I said, I've been holding off promoting this on social media for a while (which had been killing the inner Instagrammer in me due to the pretty, pastel packaging, (sad, I know)), but I wanted to put this moisturiser through its paces and test if it actually made a difference to my skin. I received the product courtesy of L'Oreal Skincare ahead of the launch and I've been using it twice daily ever since. I was gifted the 'Dry and Sensitive Skin' moisturiser, however, it is available in two other variations: 'Normal to Combination Skin' and 'Normal to Dry Skin'. Although I have combination skin on my face, the rest of my body is very dry and throughout the Spring and Summer months, my facial skin tends to lean on the very dry and flaky side, especially around any blemishes and around my hairline. The moisturiser claims to "lock in moisture for 72 hours" and is as "fresh as water, hydrating as a cream" and leave you with "fresh and glowing skin". Admittedly, I haven't tested this for up to 72 hours - because, let's be real, I personally don't go more than 24 hours without washing my face. I typically have 14 - 16 hour days and I have a skincare routine which I use morning and night. For the purpose of this little experiment, I withheld my other moisturising products for 1 week (i.e. eye cream, serum) and then integrated them back into the routine the week after. I did this because I wanted to see how the product worked alone and if I would notice a good amount of hydration. I was also curious to observe how it would work alongside other skincare products from other brands. 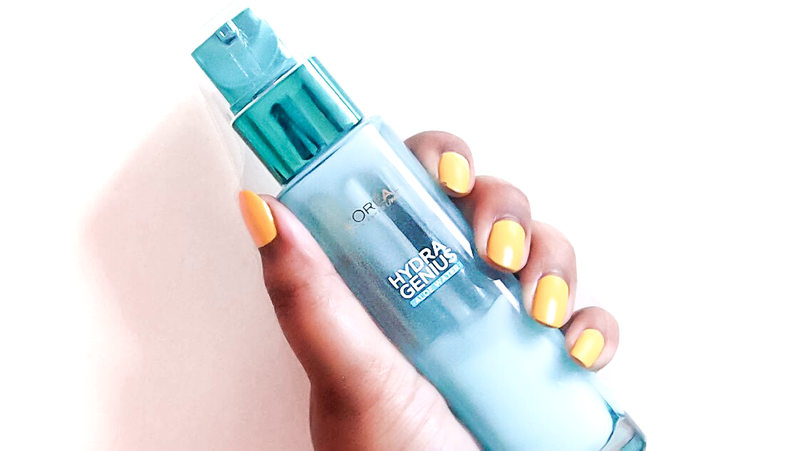 The Hydra Genius range is inspired by Asian skincare. It aims to deliver hydration which penetrates quickly and deeply throughout the day. It contains 'water-locking ingredients' such as aloe vera sap and 3 hyaluronic acids. It also contains Vitamin CG and bamboo powder. These ingredients are used at different amounts and concentrations to make up the three variations of the moisturiser. 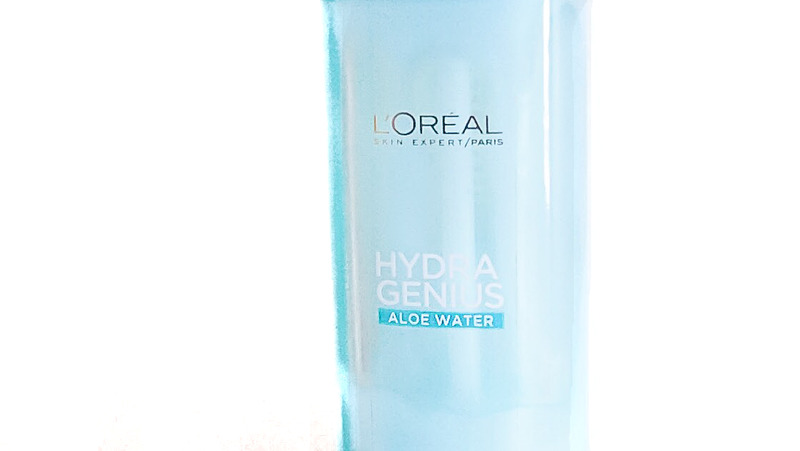 This ensures that every skin type benefits from the Hydra Genius Aloe Water. Why is aloe vera good for skin? People have been using aloe vera extract on their skin for the longest time; Egyptians named it the 'plant of immortality' due to its skin healing properties. It contains two major hormones: auxin and gibberellins, which help to heal the skin at deep levels of the dermis and have anti-inflammatory qualities. It also helps to calm skin which is stressed or acne-prone. It is commonly used as at 'at-home-remedy' (as an alternative to steroid creams) for chronic skin conditions, such as eczema, psoriasis and hormonal acne. Moving on to hyaluronic acid - most people see the word "acid" and get freaked out. Despite common misconception, acids are actually very good for you, well, the good acids are! Hyaluronic acid isn't harsh or 'stripping'. It's actually a humectant, which is a water-loving, water-binding ingredient. It helps to keep skin plump and hydrated. Because of this, it is commonly used in anti-ageing products and hydrating moisturisers. Hyaluronic acid is a naturally occurring carbohydrate acid within the human body. You're not putting anything harsh or synthetic into your skin! It encourages the production of collagen within your skin, leaving it feeling fresher and younger and most importantly, hydrated. Vitamin CG... what is it? Well, essentially, it;s an ant-ageing antioxidant. It's commonly known as Ascorbyl Glucoside and is a form of vitamin C. Being the Biologist I am, I did a little more digging and found out some cool facts which I didn't know about vitamin CG. So, Ascorbyl Glucoside is actually a derivative of ascorbic acid (AA), which is commonly found in green, leafy plants and citrus fruits. However, when AA is used in skincare formulations, it can react in a volatile way (as chemicals do). Using a derivative gives you the best possible benefits from the extract and also keeps your skin safe, hydrated and radiant. One extra little benefit of using this ingredient... once it's on your skin, it helps to neutralise any free radicals (pollutions etc.) within the environment and protects your skin even further. This helps to maintain youthful skin and prevent ageing skin! Bamboo extract is commonly used in Chinese medicine to aid healing and balancing the skin. It is very rich in silica, which is a key compound within the body to aid absorption of minerals and the production of collagen. It is also easily absorbed into the skin, which makes it the perfect moisturising ingredient. As a blogger with a particular interest in skincare and beauty, I am fortunate enough to be gifted with products regularly. A lot of these products go to friends/family/women's shelter if I can't find a use or want for them. I usually read the press package before deciding whether I'm keeping it or gifting it. From the get-go, I knew that I had to review this product. Not only so I could give an honest opinion to you lovely lot, but to see if I could find a moisturiser which was hydrating enough for my seasonal dry skin. The part that you've all been waiting for... I can happily confirm that the product works! My skin feels fresh, not greasy, hydrated and plump. I feel confident going out without makeup; knowing that I don't have any dry and flaky patches around my hairline. I found it was especially soothing to use after I'd plucked my eyebrows and used a peel-off face mask. In the first week of trialling it, I used my usual make-up remover, toner, cleanser and exfoliator and skipped on the eye cream and hyper-pigmentation serum. My skin soaked up the product, as expected. In the second week (and presently), I started to include my other skincare bits and bobs. I found that the products didn't sit on top of each other; they all absorbed beautifully. I have found myself applying less of my primers when doing my makeup, which saves me on products and money. Because it leaves my skin looking radiant, I have no need to apply an illuminating/moisturising primer to my dry areas. I still use my PoreFessional primer on my T-Zone, as I still get a tad oily there and my pores are quite visible. The moisturiser currently retails at £9.99 (currently on offer at Boots, save 1/3 on selected L'Oreal products | £6.66), which I personally think is a bargain. I've used high-end moisturisers which are £50+ and with this product, you get a better result and more product in the bottle. It's a no-brainer for me, I'm utterly sold and I will definitely be purchasing this when it runs out! I estimate that one bottle will last me around 2 months, which equates to £60 per year for your facial moisturiser. Comparing this to the Clinique moisturiser which I was previously using (which comes in at £54.00 per tub and £324 per year), I'll be saving £264 per year. That's incredible. If you're still not sold, I highly recommend popping into your local Boots or Superdrug and requesting a little sample to try first. *And lastly, a little disclaimer: I was gifted this product by L'Oreal Skincare. I was not asked to write a blog post, a social media post or even photograph the product for promotion. As always, I love to try and test products and give my honest opinion. None of this content was sponsored and all words are unscripted and remain my own.